We are pleased to announce that entry to the 2019 German OSPAs are open until 23rd July 2019. The awards provide the opportunity to acknowledge and reward the contribution innovation, individuals and organisations play in safeguarding Germany. Nominations are now being accepted. Judging of the awards will be undertaken by an independent panel who have been nominated by many of the leading security associations. 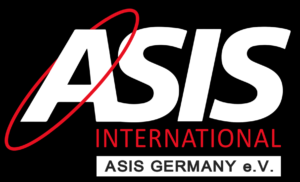 Winners will be announced on 9th October 2019 at an awards presentation, hosted by ASIS Germany at their Business Risks Summit in Cologne. At this summit, decision makers for corporate security and fraud from globally operating companies will meet to discuss possible solutions in the future. More information on the event can be found here. Es gibt in Ihrem Land zurzeit kein OSPA-Programm und Sie möchten ein solches mit uns zusammen initiieren? Dann schreiben Sie uns! Nehmen Sie bitte Kontakt zu uns auf. Abonnieren Sie den OSPA-Newsletter, um Neuigkeiten zu den Awards sowie Tipps, wie Sie eine besondere Leistung erzielen können, zu erhalten.